This handmade lamp stands out due to the interesting combination of its materials. 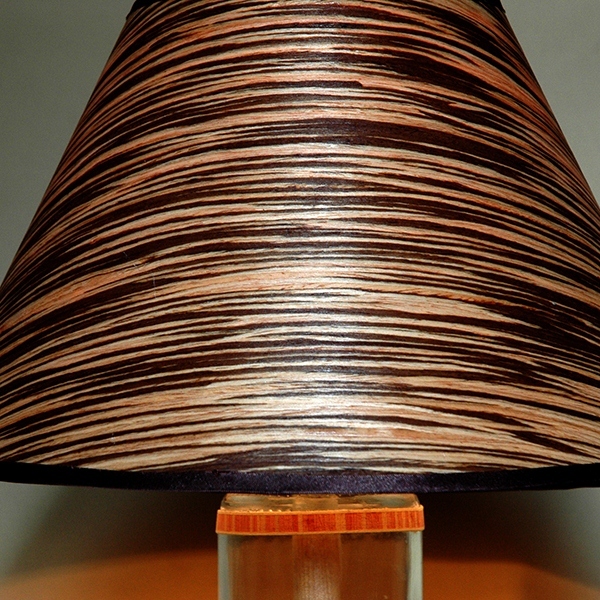 Its base is made of birch wood and glass, and the lampshade is crafted from natural veneer. E27 lightbulb, dimmer included.